Monthly subscription boxes are a fun way to find new products that you may not have come across on your own. Many people enjoy these boxes for their element of surprise, discounted prices, and convenience. Without leaving your house, you can now provide your child with age-appropriate toys, educational activities, books, and clothes that are tailored to their specific needs. In addition to their educational value, these Black-owned subscription boxes for kids are also designed to inspire children of color to pursue their dreams, be confident, and learn about their history. Black Butterfly Beautiful was created by the teen entrepreneur, Journi D’Khaos Prewitt. 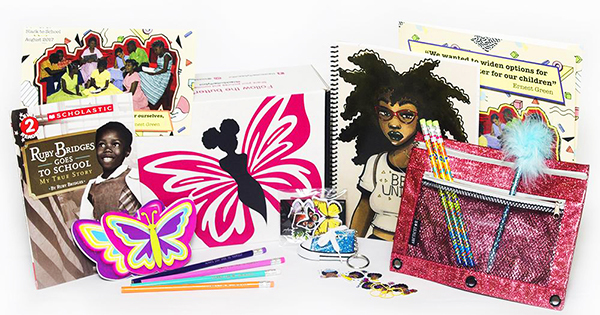 Each box features a book, at least one product from a Black-owned business, and other items designed to empower young people of color and teach them about Black history. There’s also a Boys’ Black Dragonfly Box which includes a book featuring strong, Black male characters, and to 2-3 other items which may include video games, school supplies, sports supplies, technology, or treats. This monthly STEM subscription box is designed by credentialed teachers for kids ranging from 6 to 12 years old. Each box includes science projects and activities that relate to a specific STEM theme. Easy to follow instructions are provided in each box to aid kids through the completion of critical thinking projects. Squad Block Comics helps your child grow their comic collection with a wide variety of titles that feature superheroes of color. Each month you’ll receive eight comic books at a discounted price that are tailored to your child’s preferences. To ensure that your kid will enjoy their comics, you can include information regarding their gender, age range, preferred genres, favorite superheroes, and any other additional requests. This magical subscription box allows you to be a fairy godmother to your own princess as well as another child in an adoption agency. Each box is designed to make its recipient feel smart and beautiful with products such as dresses, tutus, tiaras, wands, and STEM books. By including STEAM-themed activities and programs in each box, the Brown Toy Box encourages Black children to have confidence in the fact that they can be successful in a career that yields a large income, economic mobility, and job satisfaction. In addition to the STEAM activities, each box includes a book that highlights a successful Black trailblazer to provide them with a positive role model. When you open one of these Black-owned subscription boxes for kids, you’ll feel good knowing that you’re providing your child with educational, fun, and empowering products they’re sure to love.